So, you have your long-trusted ANTIVIRUS (AV) software and think your system is as safe as all the gold in Fort Knox and no hacker is getting through to your most valuable information. You may believe there’s no need to spend any more money on updating your AV software. Well if that is the case, you are basically a caveman of the internet while the hackers are futuristic, profit driven beings that can easily invade your primitive defenses with ease! That’s right. Today’s hacking criminals of the web are smarter, more sophisticated and determined than ever before and your trusty old AV software is just no longer able to fully prevent intrusions as it has in the past. 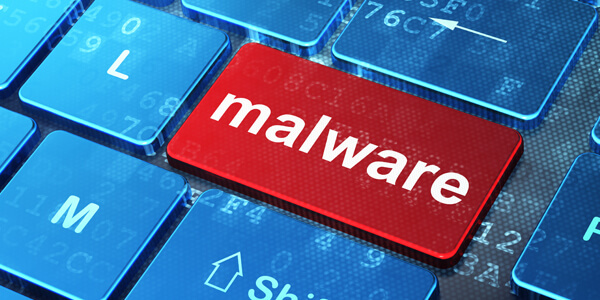 Traditional AV software matches malicious software to a pre-defined set of signatures and heuristics. This method of protection surprisingly only stops half of all of today’s attacks. If you are still using your traditional AV software, you still have a 50% chance of being successfully attacked. ENTER THE EVOLUTION OF AV! Today there is a new means of protection that is a critical piece of the security puzzle and it can take your system’s defenses into the future and protect your precious and sensitive information better – welcome NEXT GENERATION ANTI-VIRUS (#NGAV). This is not just a new way to sell an old concept. NGAV software is a much more powerful tool than regular traditional signature based AV software. It provides more protection, time efficiency and resources to monitor your systems. NGAV examines every process at every endpoint to detect and block any malicious tools, procedures, tactics or other means that hackers use to easily bypass normal AV protection. Constantly examining registries, network activity and more, NGAV software is always watching and learning whereas traditional AV software just sits back and waits for a signature update before responding. NGAV software is proactive in its fight against cyber-attacks. Basically, it’s turned the Hunted system into the Hunter. Ransomware is the number one malware attack affecting organizations today. It encrypts your files and holds them hostage until the ransom is paid, causing massive disruption to business productivity. NGAV prevents the malicious spontaneous encryption of data by ransomware—even trusted files or processes that have been hijacked. And once ransomware gets intercepted, NGAV can revert your files back to their safe states. Every day we hear more and more about companies, businesses, institutions and even governments getting hacked due to the ingenuity of attackers and the outdated protection so many of us rely on. The time has come to get out of the stone age and into the future! When it comes to protecting our most valuable information on our systems, NGAV software has arrived to do just that. Now, many big-name companies and smaller entrepreneurs with new business ventures are all considering the newest way to protect their information. Sign up for our “Advanced Threat Solution Webinar” where we cover: Next Generation Antivirus, Email Security, Cloud Security, Rediscovering your Network, Security Awareness Training and Vulnerability Management. Please feel free to sign up for this very informative Webinar. You just might thank yourself afterwards and leave armed with vital information needed to defend your Network and Systems in general against Cyber Criminals in the future!